Would you like to turn on audio instructions for this lesson? 1.Play Store is an app on your phone that functions as an app market place. 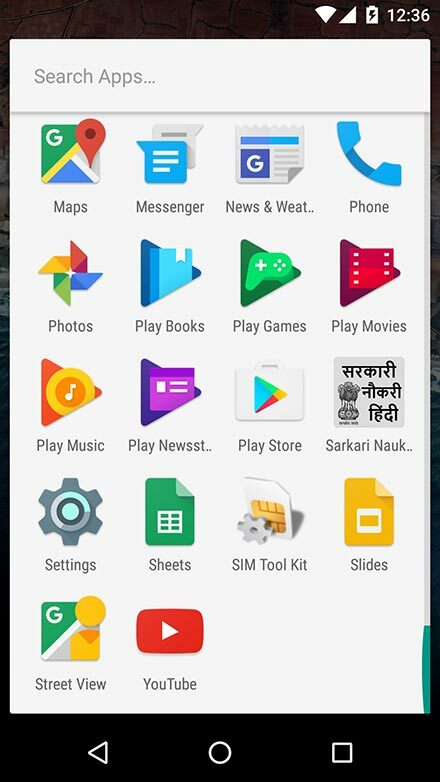 You can find all kinds of apps here. Note: Some apps are free to download while others cost money to download. 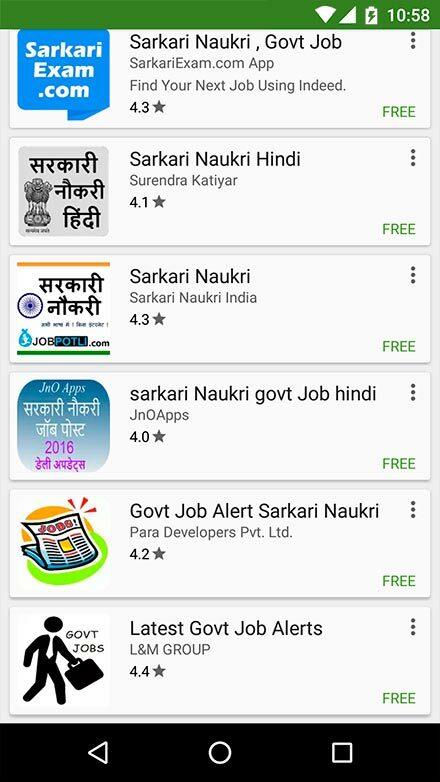 2.Tap on the Play Store app. 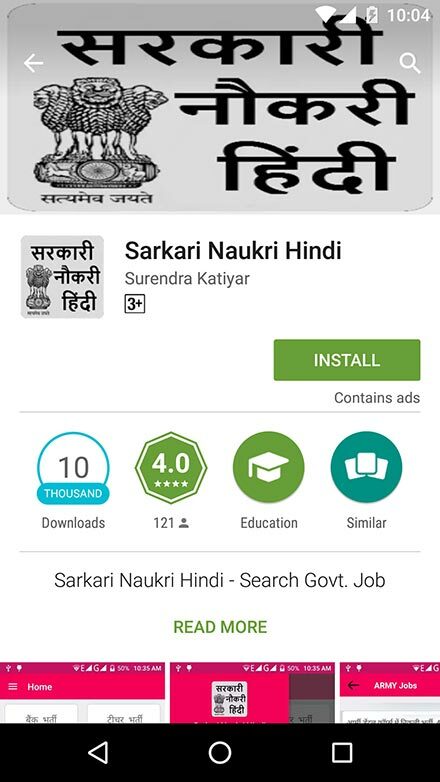 3.Type the name of the app you want to download in the Search field (for example, Sarkari Naukri). 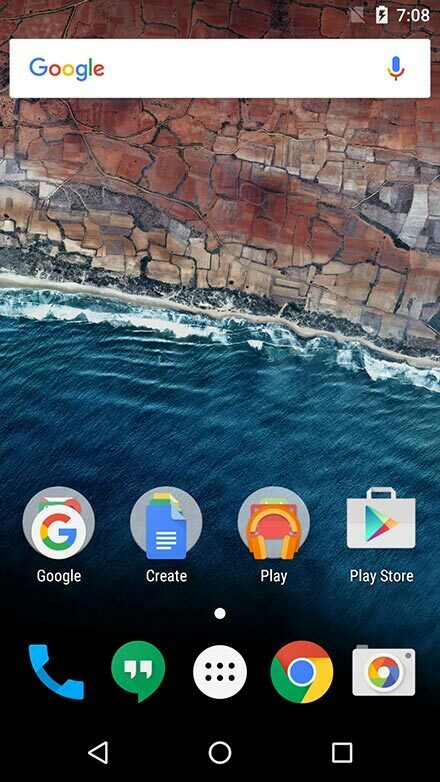 Tap the 'search' icon. 4.You will see a list of apps. Tap the one you want to download. 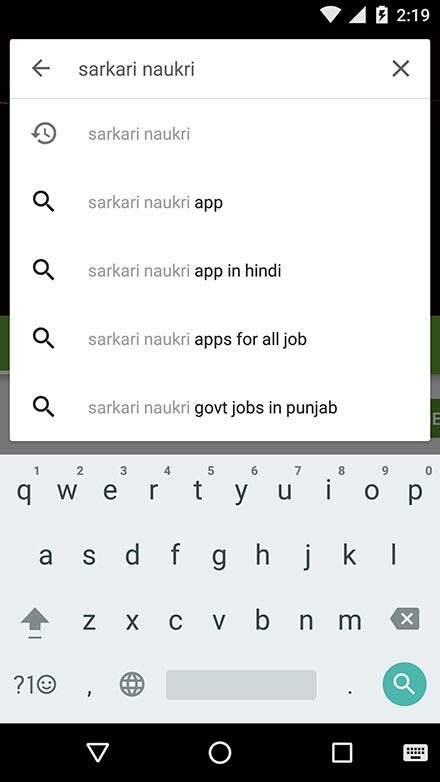 Note: You may not see any results if you misspelled the name of the app, or if no apps by that name exist. 5.Details of the app are displayed. 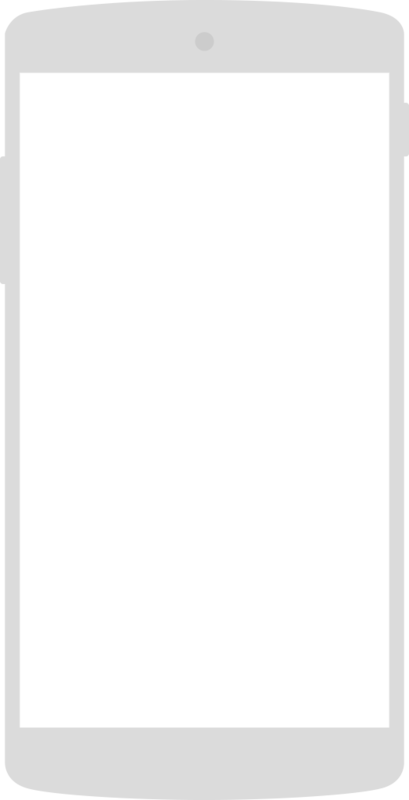 Tap 'Install' to begin downloading the app on your phone. 6.The app will begin downloading. You can watch its progress. 7.Once it is downloaded, the app icon will appear on your phone. 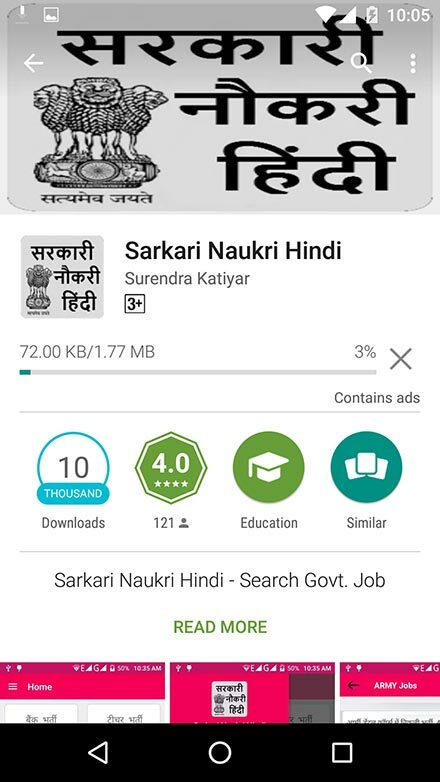 Note: You may have to search through the different pages on your phone to find the downloaded app. 8.Tap on the app to open it. Note: Downloading apps usually consumes a large amount of data so do not download any that are not necessary. Also, try to only download apps when you are connected to WiFi.